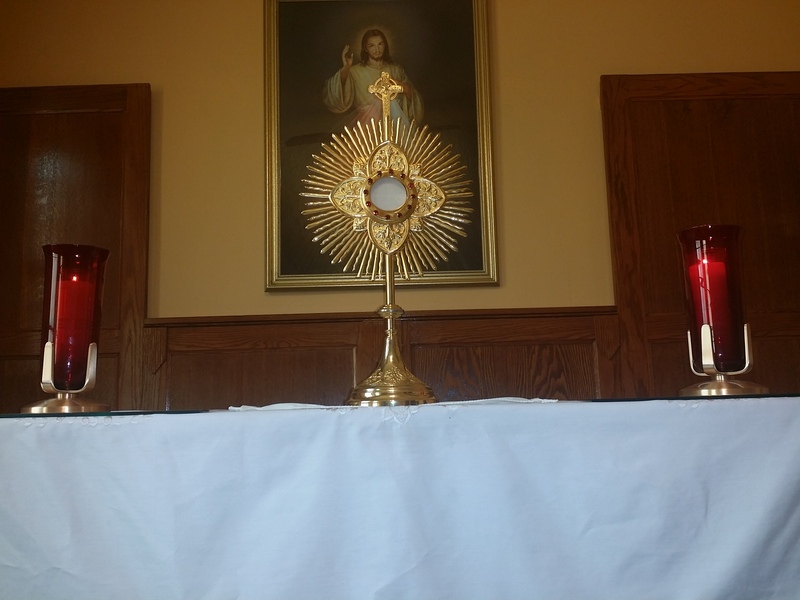 "Sanctification of persons, families and parish communities through growth in deeper prayer before our Eucharistic Lord. 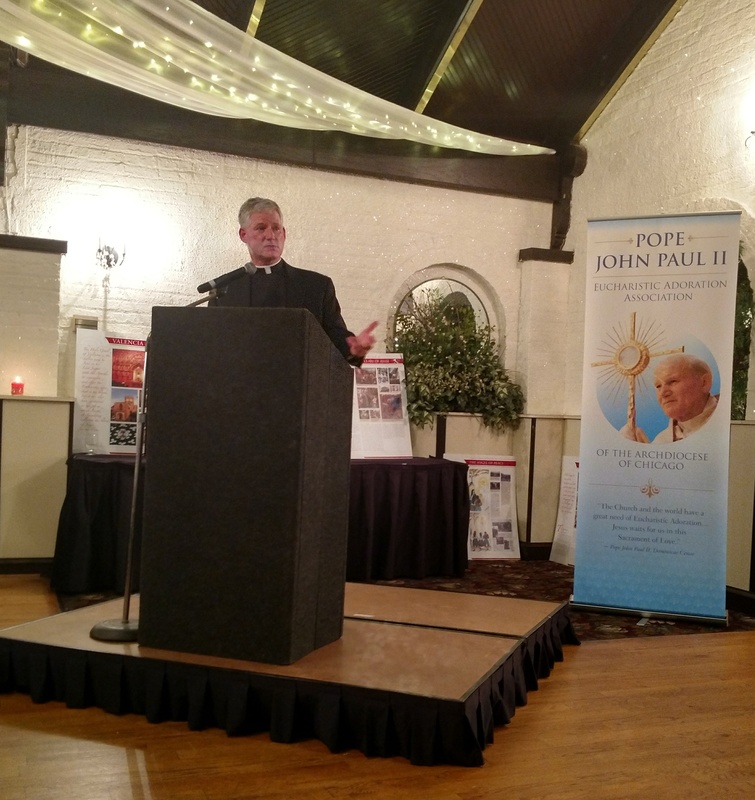 On November 4th, 2017, PJP2EA held a benefit dinner with Fr Rocky Hoffman, Executive Director of Relevant Radio giving a talk titled "True Presence: The Source & Summit of Everything." 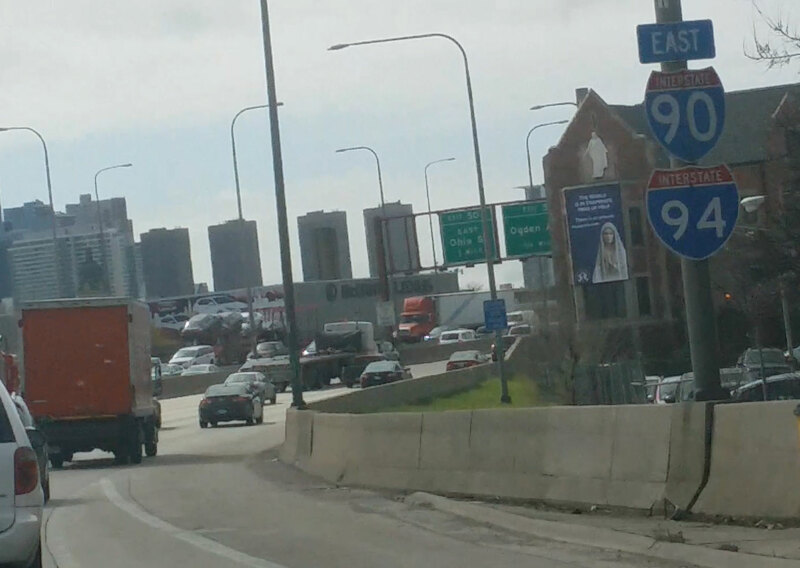 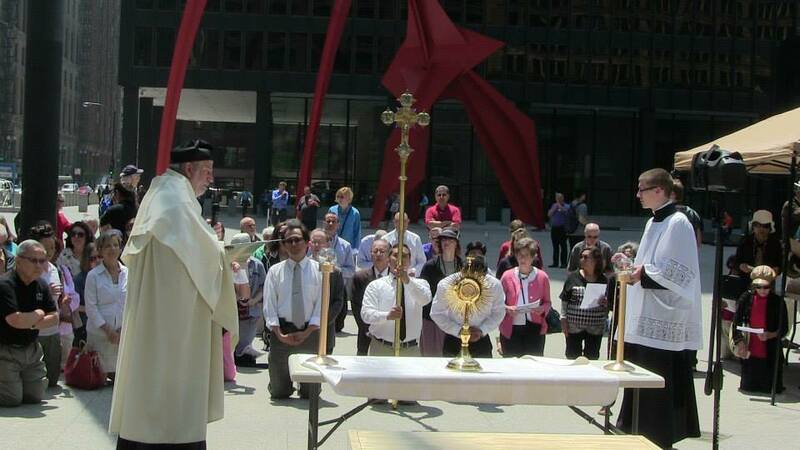 On Tuesday April 28, 2015 Steve Lovison of Adoration Servants from Huntington Beach California came to Chicago for a "Eucharistic Piligramage." 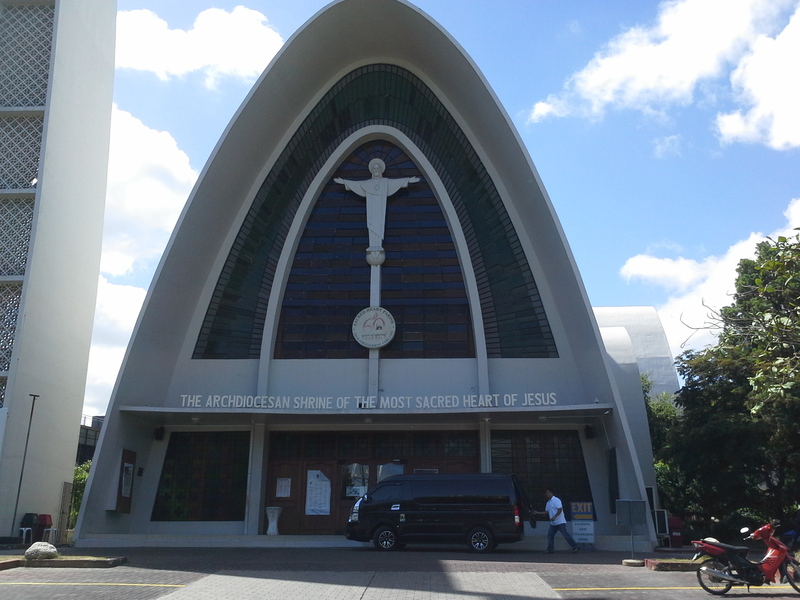 Pictures taken by various people at various places of our namesake and patron, Pope St John Paul II. 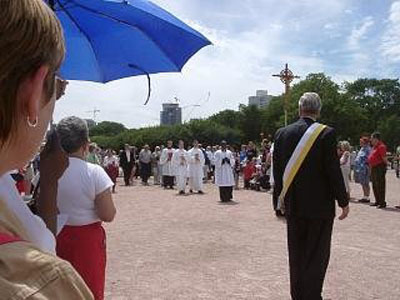 In 2005 PJP2EA helped promote and participated in a gigantic Eucharistic Adoration event that took place in Grant Park Chicago.